ALLEGRA BOVERMAN/Staff photo. Gloucester Daily Times. Gloucester: Over 1000 people attended the fourth annual Cruiseport Gloucester Bridal Show and Wedding Expo on Thursday evening. 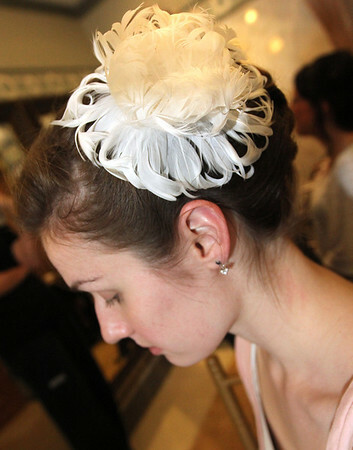 Abby Rosmarin of Nashua, N.H. was to be a model in the Bella Sera Bridal fashion show. Her hair and makeup was done by EnVogue Salon stylists.